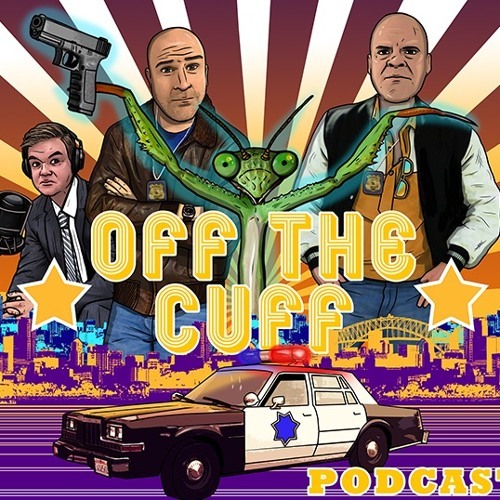 In the latest episode of Off the Cuff, Mike shares his car service experience that rivals Dave's old Fed Ex problems. We then discuss how in our culture people seem to forget that disagreeing doesn't equal devaluing; this was Dave's response to Mike having a conversation on his YouTube channel with a "voluntarist" aka: anarcho-capitalist aka sovereign citizen and trying to better understand the reasoning (or lack thereof) of their position. Of course, while you sip your favorite beverage and follow along we'll chase a couple of rabbits down trails because hey..we're us. Please consider supporting our partners for this show: Black Rifle Coffee http://www.blackriflecoffee.com Use code "thinblueline" for 20% off (one time coupon use) Veteran owned and operated - AMAZING company. Big Daddy Unlimited http://www.bigdaddyunlimited.com/mtc Trial membership of $.99 and if you are a huge firearm guy/gal or outdoor gear nut then you will LOVE the money this site is going to save you. Seriously. PLUS it helps support the show better than any other partner, so everyone wins. Patreon http://www.patreon.com/mikethecop Early access, bonus content, Unique reward tiers PLUS giveaways, etc.